Temescal’s newest brunch contender aims to add a bit of South Asian spice to your humdrum pancakes-and-bacon weekend routine: Juhu Beach Club will begin serving Sunday brunch on Sunday, November 9, from 11 a.m. to 3 p.m. 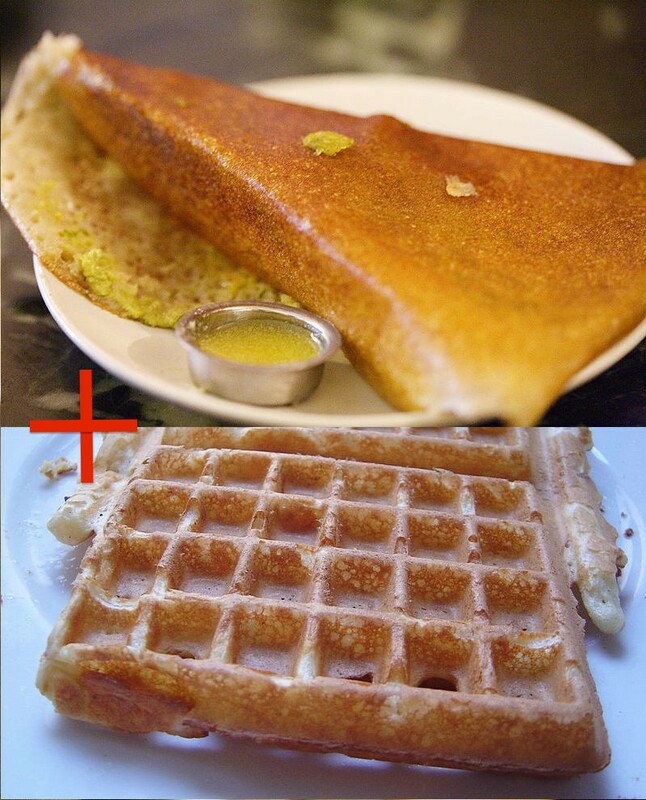 The highlight of the menu will be something called a “Doswaffle,” an original creation that chef Preeti Mistry defines as “Juhu Beach Club’s legally recognized union of the South Indian dosa with the Belgian­-style waffle” — and, not insignificantly in these alternative-diet-friendly times, “a gluten-free dieter’s delight.” Mistry explained that she’ll cook the dosa batter in a Belgian waffle iron, yielding a hybridized breakfast creation that’s crispy on the outside and slightly soft inside. According to Mistry, other brunch items will include chai-spiced brown sugar bacon, mango mimosas, and the Croque Memsahib — a variation on a French croque madame that features bacon, fried eggs, and spicy melted jack cheese. But the Doswaffles will likely be the star attraction. Mistry said she plans to offer three versions: one with sambar (the lentil-and-tamarind broth that is the classic dosa accompaniment), coconut chutney, and masala potatoes; a sweet version with Nutella, bananas, and cardamom whipped cream; and, last but not least, Mistry’s Indian-street-food take on chicken ’n’ waffles — green-chili chicken and Doswaffles served with a spicy maple syrup. Alas, as of this posting, Mistry had yet to take any photos of her newest creation, so we’ll just have to rely on our imaginations for a little while longer.